4 out of 5 children will not eat these treats. In fact, those same 4 out of 5 children will sit about whining loudly that they are absolutely starving to death while these cereal bars sit on festive plates directly in front of them, forcing you to make two big bowls of popcorn so these same 4 out of 5 children won’t keel over from extreme after school hunger. The fifth child will actually eat these bars and not complain. 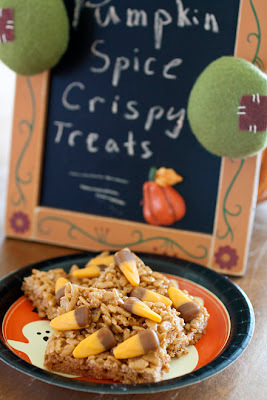 As for the adults, they'll enjoy the fall themed flavor variety of these classic cereal bars and grab a second one. Not the 4 out of 5 children however. When asking the 4 out of 5 children why they detest these blameless bars they’ll tell you “because they’re different”, and a couple of them will even be too scared to try a taste. Change is difficult. I’ll give them a few years. Candy corns are cute, but definitely optional. Print Version. Line 13x9-inch pan with foil, with ends of foil extending over sides of pan; lightly grease foil. Microwave butter in large microwaveable bowl on high 45 seconds, or until melted. Add marshmallows; toss to coat. Microwave 1 1/2 minutes, or until marshmallows are completely melted, stirring after 45 seconds. Add cereal, mix well. 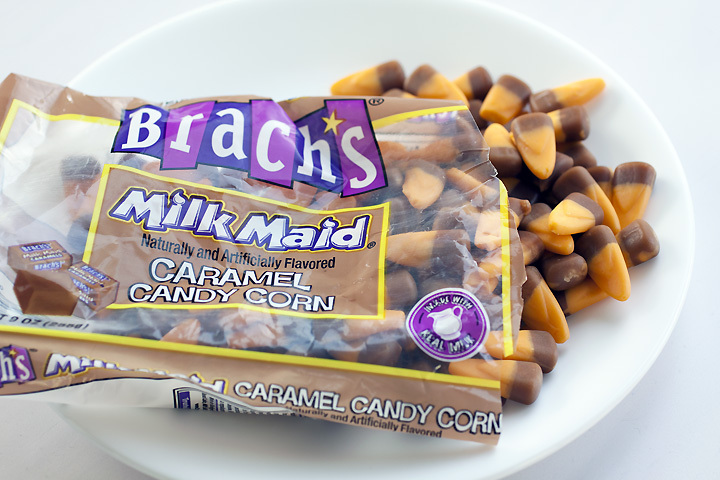 Press cereal mixture firmly onto bottom of prepared pan and press candy corns lightly into top of cereal bars. Remove cereal mixture from pan, using foil handles. Cut into squares. Recipe from back of Kraft Jet-Puffed package. Pictures by Laura Flowers. Oh yummm! These look super delicious!! Must make them stat! adorable... and they look oh sooo delicious! ha! ha! ha!! My middle-child would be that annoying kid that won't try it because it's different, but my other two would eat it & love it. I often wondered why I was so excited when Middle-Child learned to talk because he is the little dictator and now tells us all the time what he DOESN'T like to eat! Love it! This is why I don't have kids. God knows I would kill them for not eating treats like this. WHAT IS WRONG WITH CHILDREN?! lol This sounds so good--I'm so making these. For myself! These sound so awesome! I want to make these and take them to work - I would be the office hero, haha. oo am I number 1,000,000?? Haha Steph you might be! I'll just think you are too. You should run out and buy a lotto ticket now. I will never understand children's tastes. but. More for me! 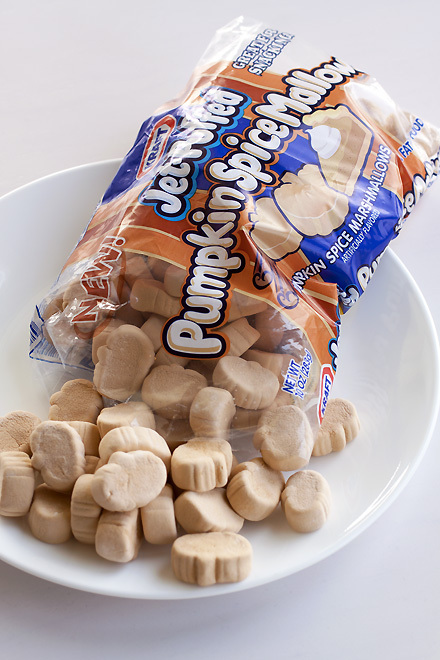 I'd love to try these, I'll definitely be making them if I can find those marshmallows! Aren't kids hilarious about things like this? Change is the beauty of life, kiddos! What a lovely recipe...and an inspiring post. I hope you have a beautiful weekend, my friend. Blessings and joy from Austin. Kids are so funny:) I'll be happy to take their portion, Laura!